James 3:8-10 - But no human being can tame the tongue. It is a restless evil, full of deadly poison. With it we bless our Lord and Father, and with it we curse people who are made in the likeness of God. From the same mouth come forth blessing and cursing. My brothers, these things ought not to be so. James chapter three begins with a clue to the author. While little is said of the writer throughout the book, and his official identity is still questioned by several Bible scholars, here he refers to himself as being among the ranks of teachers-and how they "will be judged with greater strictness" (James 3:1b). This is interesting because in that profession one's speech, diction, articulation of ideas, and tone are of the utmost importance when trying to connect with students and convey knowledge. Perhaps the author is being a bit confessional when a few verses later, he is into the well-known passage about the tongue and what a "restless evil" it is, with its resistance to surrender apparently being unmatched by any beast, dead or alive. Does James speak from experience? Was he guilty at times of "coaching down" and not "coaching up" as a teacher? Or maybe he was the victim of someone's or some group's vicious contempt and disrespect? Then again, if -- as some maintain -- he was the half-brother of Jesus, would the horrific cruelties done to Jesus during His trial and crucifixion have so seared James' mind that it left him impatient and harsh with anyone who didn't receive Jesus as his or her Savior? Would this possibly come out in his treatment of people? For sure, James is not simply anti-tongue. As a teacher and a believer, he knows the integral place our words and testimony have in the full life of the Christian. And he's famous for his position on the necessity of works as a display of faith (see James 2:14-26). It's our words though that are left ringing in people's ears either as well-placed notes of love and kindness or, as the case may be, the shrill timbre of abuse and negativity. "My brothers, these things ought not to be so." The tongue is an instrument of righteousness, to be offered to God for His use and purposes (see Romans 6:13). Elsewhere, St. Paul reminds the church at Ephesus to be filled with the Spirit, addressing one another in psalms and hymns and spiritual songs, singing and making melody to the Lord with your heart, giving thanks always and for everything to God the Father in the Name of our Lord Jesus Christ, submitting to one another out of reverence for Christ." Let us be those who praise and glorify God the Father, the Son, and the Spirit with our tongues, lifting up our voices to share the Good News of Jesus with a world that watches closely what we do. THE PRAYER: Lord, our words are potent things. They can build up and encourage; they can tear down and destroy. By Your Spirit's power, may our words point others to You, the message of the cross, and way to life everlasting. In Your Name, we pray. Amen. 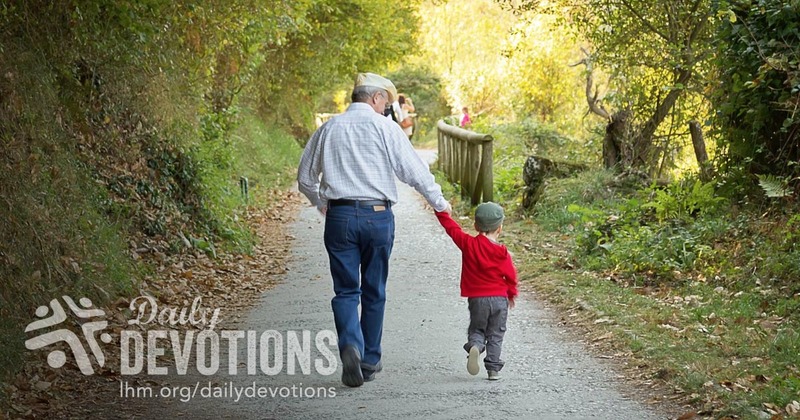 This Daily Devotion was written by a contributing writer from Lutheran Hour Ministries.